Hanoi (VNA) – Vietnamese businesses’ spending on environmental protection remains modest compared to their total investment and operation expenses, according to a survey released on November 2. The survey, conducted by the National Centre for Socio-Economic Information and Forecast under the Ministry of Planning and Investment, looks into domestic enterprises’ investment in updating environmentally-friendly technologies. 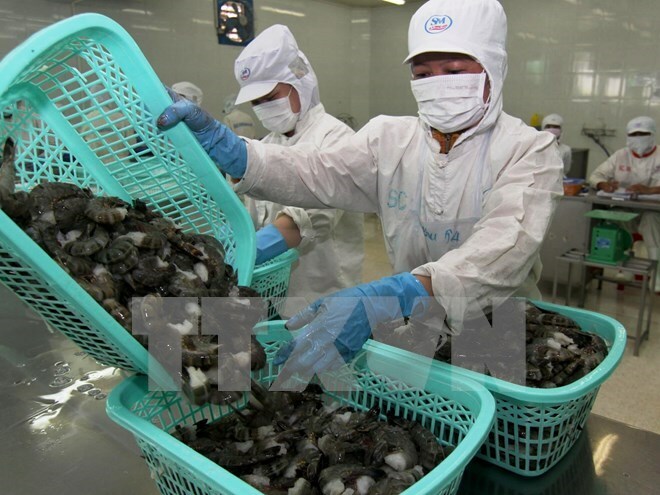 It covered 357 enterprises in the northern provinces of Bac Ninh, Thai Nguyen and Quang Ninh, which are home to a large number of industrial parks. Most of the surveyed firms operate in processing and manufacturing industries which require big spending on production and waste treatment technologies to avoid pollution. Data show that nearly 40 percent of the companies did invest in environmental protection and regularly spend money on this activity. However, up to 74 percent of these firms spent less than 10 percent of their initial investment expenditure on environmental protection. On average, businesses’ regular spending on environmental protection accounts for just over 1 percent of their total operation expenses. Close to 70 percent of the firms said they updated their technology once since their establishment, with 30 percent of those using technology imported from China. Meanwhile, only 22 percent of the respondents said they have switched to using environmentally friendly technologies. The ratio of companies investing in technological updates was even lower in the metal work industry, despite the fact that this is an industry that poses a high risk of environmental pollution, according to the survey. The survey also points out that existing policies supporting technology update are still inconsistent, overlapped and impractical. Only few companies have received assistance, not to mention irksome administrative procedures.